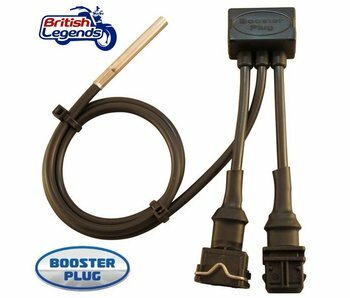 Dynojet ignition/injection module Power Commander V for Triumph motorcycles. You have already fitted a "sports" exhaust, increased the air flow entering your engine, but are you still looking for more oomph? The Power Commander is for you. In a few minutes, without special technical knowledge, you can gain increased acceleration and improved driveability by inserting this box between the engine management module and the injectors (under the seat). You can then either let the box do its thing on the pre-defined settings, or customize the settings to fit perfectly to your riding style. The Power Commander optimizes the air/fuel ratio to increase the efficiency of the engine, you will feel the difference whatever the throttle position and the engine speed. Complete documentation, Dynojet setup software and installation instructions here, first select your motorcycle). Does not require any modification of the motorcycle, fully reversible fitment. 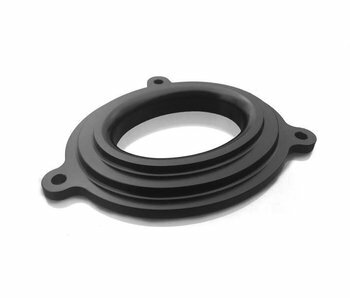 "High Flow" air filter for Triumph Bonneville, Thruxton 900, Scrambler 900, America and Speedmaster. K&N brand, lifetime warranty! Lets in 32% more air into your engine, for better engine breathing! Engine preparation kit "Stage 3" for Triumph Twins 790/865cc, two versions available: carburetor or EFI.